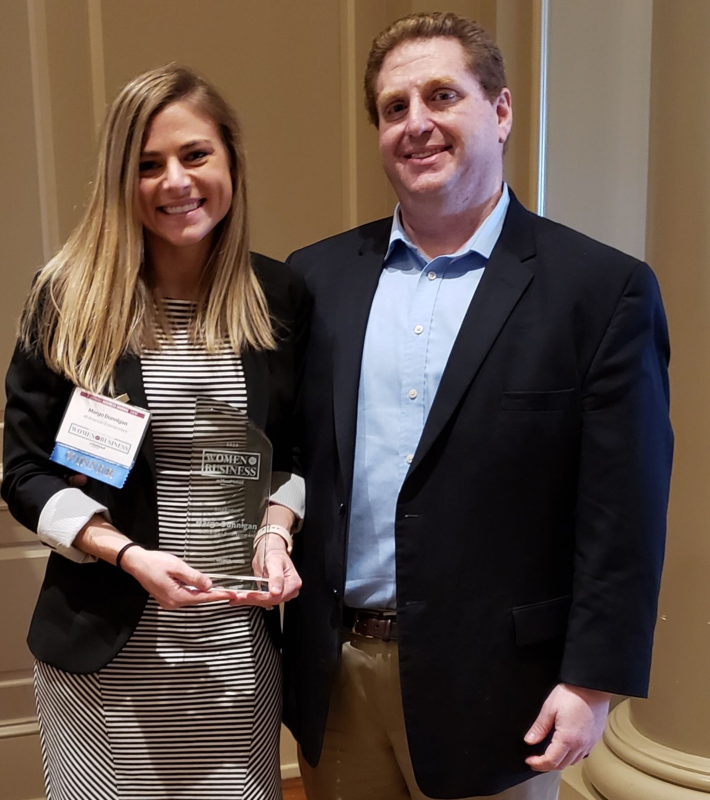 [DURHAM, N.C.] – All American Entertainment, one of the country’s most prominent talent booking agencies, announced that its Vice President of Operations, Margo Dunnigan, was honored by Triangle Business Journal at the 2019 Women in Business Awards. She received the Inspiration award in recognition of the way she inspires the AAE team through her leadership. 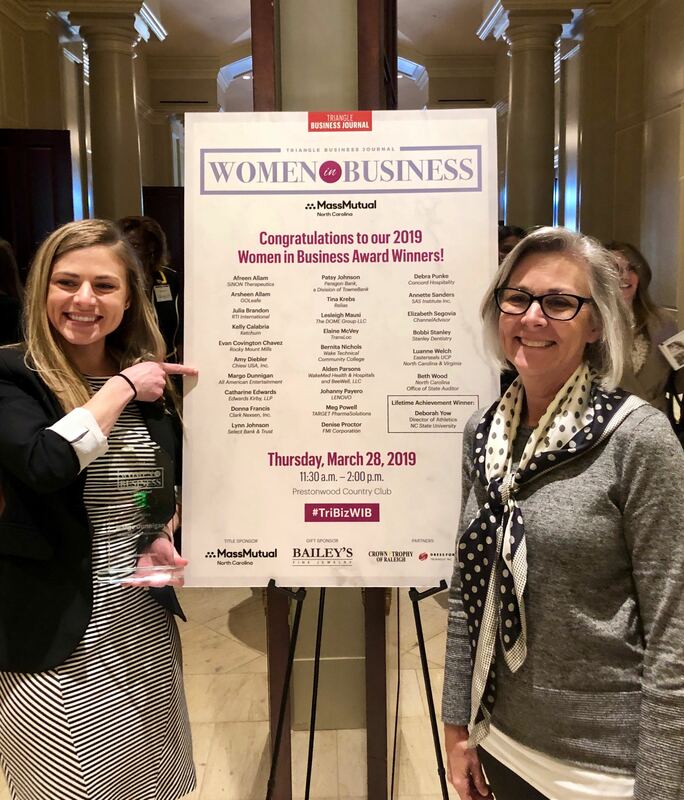 Dunnigan was one of 26 women honored at the 2019 Women in Business Awards luncheon. The 21st annual Women in Business Awards took place on March 28 at the Prestonwood Country Club in Cary. 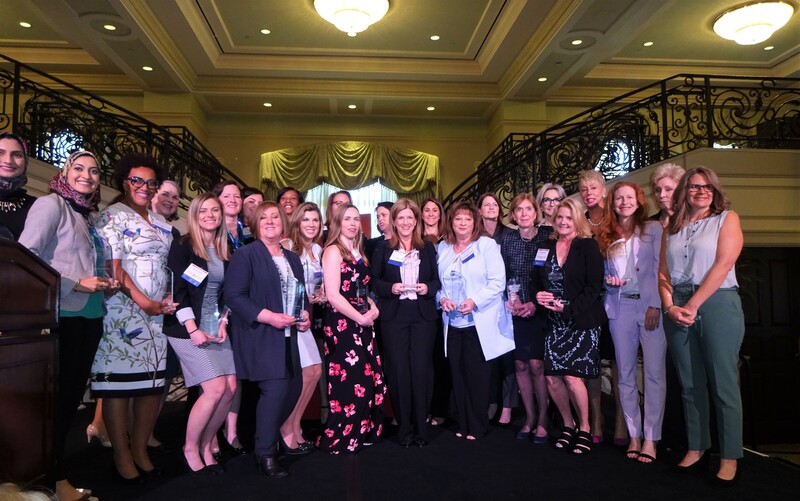 Hosted by Triangle Business Journal, the annual awards luncheon honored local women with exceptional success in leadership across different industries. This year there were over 200 nominations, and 26 women were honored at the ceremony for their accomplishments in business and community service. Since joining AAE eight years ago, Dunnigan has helped create the company’s encouraging workplace environment, which led to AAE being named the No. 1 Small Business in Triangle Business Journal’s list of 2018 Best Places to Work. Under her leadership, the team has grown to include more than 30 dedicated employees in the span of only a few years. Dunnigan with AAE’s CEO, Greg Friedlander. Dunnigan joined the company in 2011 and has over 10 years of experience in the talent booking industry. When she accepted the Inspiration award onstage at the luncheon she was asked what she would tell her 21-year-old self. “Have perspective when going through challenges… Looking back on them they were just growing opportunities,” she answered.